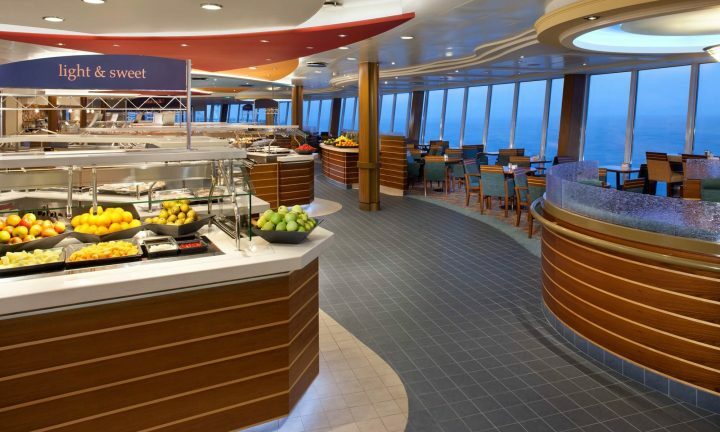 Royal Caribbean offers a myriad of casual dining options and quick bites for meals on the run. 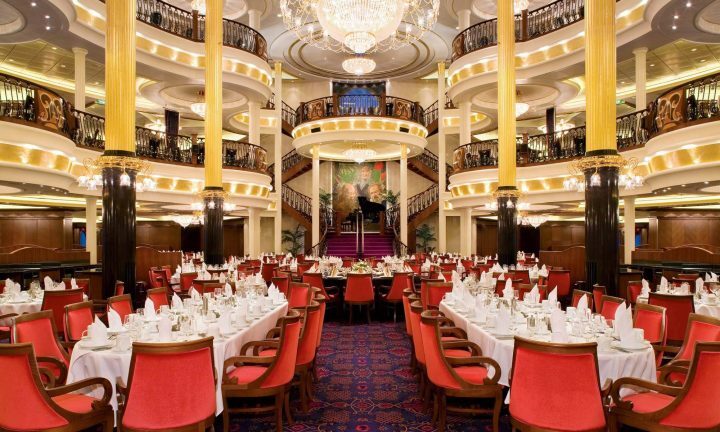 With sweeping, multi-level ambiance, world-class cuisine, and extraordinary personal service, our main dining room serves exceptional, multi-course meals for breakfast, lunch, and dinner each day. 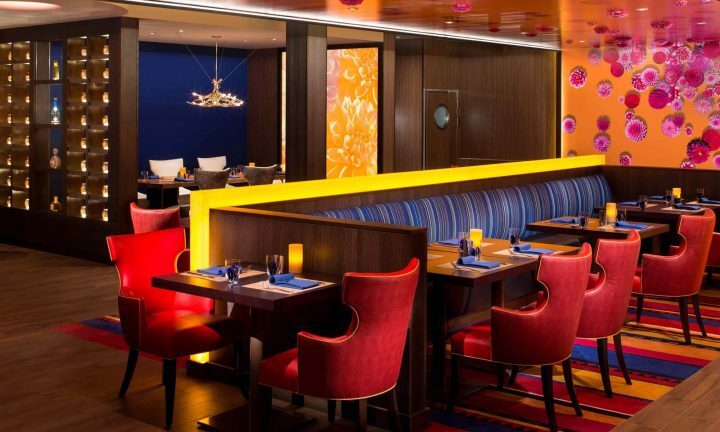 Enjoy an assortment of global cuisines and American favorites at this casual dining destination with spectacular views and a comfortable atmospherethat welcomes guests for breakfast, lunch, and dinner. 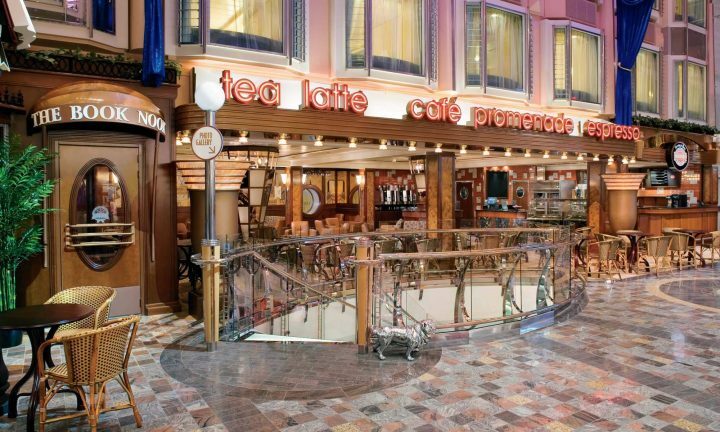 Located in the multi-level Royal Promenade at the heart of our ships – and the best spot for people-watching – Café Promenade serves coffee, snacks, pastries, and sandwiches around the clock. Open 24 hours a day, it’s perfect for satisfying your late-night cravings. 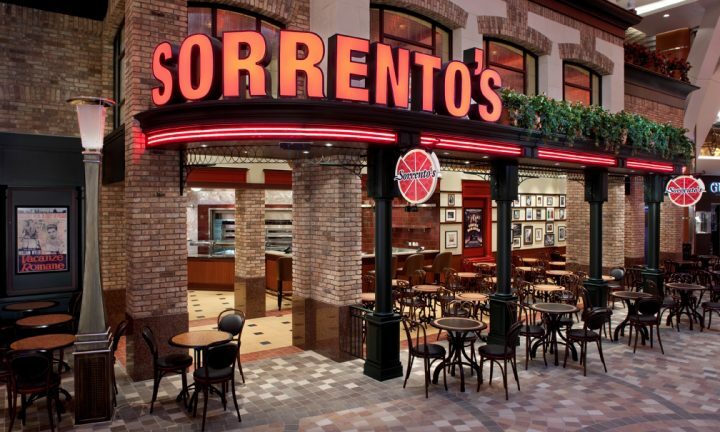 Savor an authentic New York-style pizzeria experience with traditional pizzas as well as rotating creations like Hawaiian and Pizza Florentine. 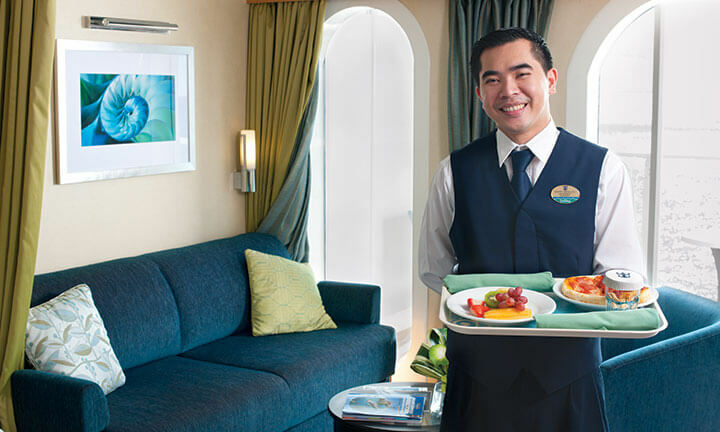 Whether you’re craving breakfast, lunch, dinner or an afternoon snack, get it delivered with Room Service, available 24/7. 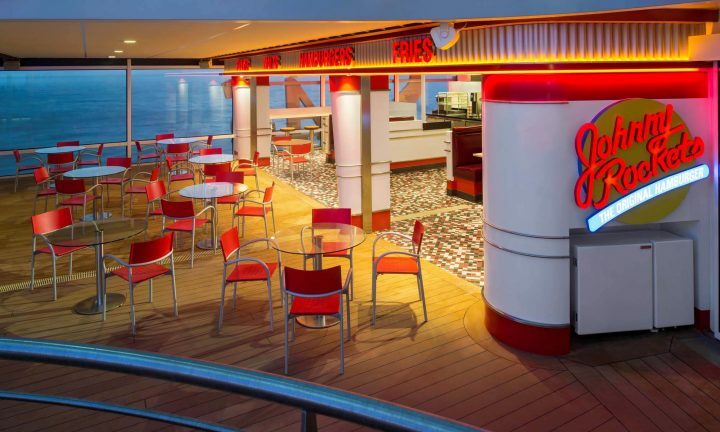 A Dining Experience to Suit Every Taste. 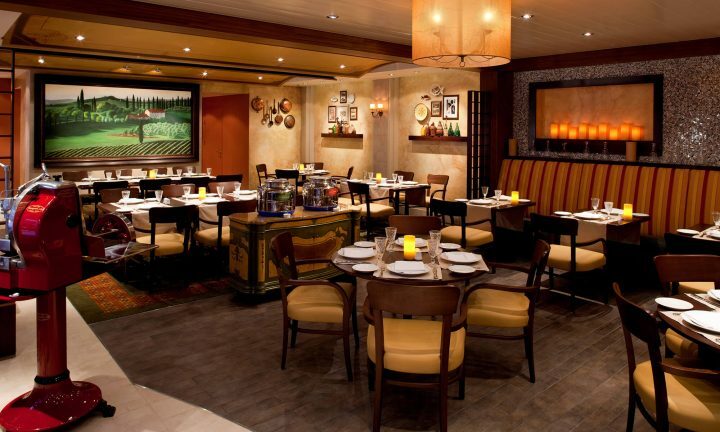 From pastry shops and casual eateries to hearty Italian fare, not to mention our signature steakhouse Chops Grille, we offer restaurants that cater to every taste. 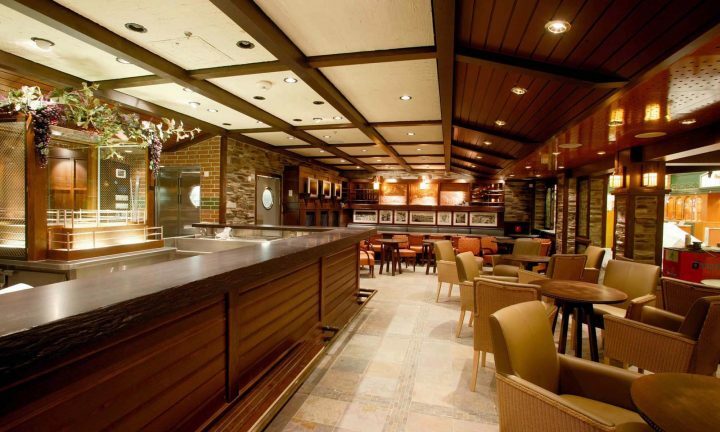 Our buy-out option lets your group have the stunning surroundings of our restaurants all to themselves. 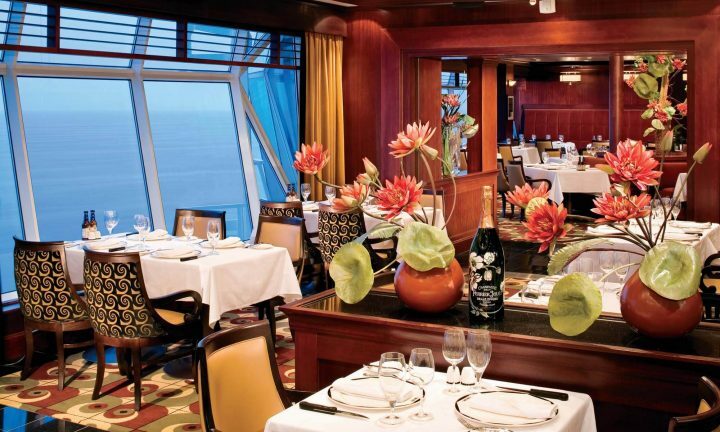 Enjoy juicy steaks, fresh seafood, hearty side dishes, and sumptuous desserts in the elegant, classic Chicago atmosphere of Royal Caribbean’s popular signature steakhouse. Giovanni’s serves up a family-style dining experience in an Italian trattoria influenced by Tuscany’s landscape and flavors. Try the toasted herb focaccia with a braised meat dish or hearty stew! For a contemporary twist on traditional south-of-the-border cuisine, Sabor Modern Mexican combines fresh ingredients with inventive takes on favorite dishes like empanadas, tacos, queso, and deliciously refreshing margaritas. Step back in time to the 1950s, when jukeboxes were at every table and diner menus were packed with all-American favorites like burgers, fries, and shakes. 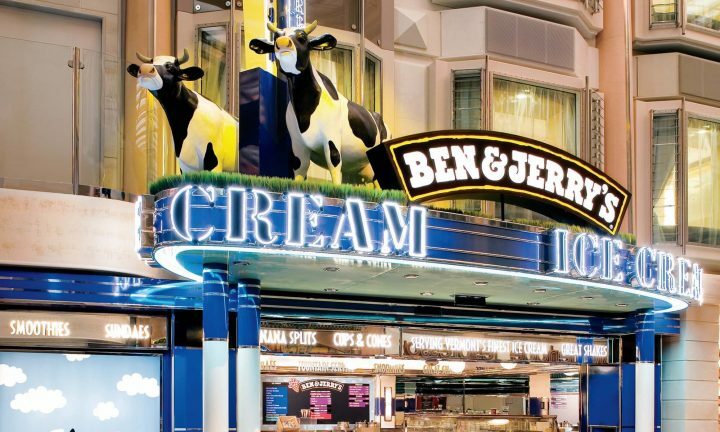 Treat yourself to a cone of Vermont’s Finest Ice Cream, or indulge in a smoothie, sundae, or shake for a special treat. 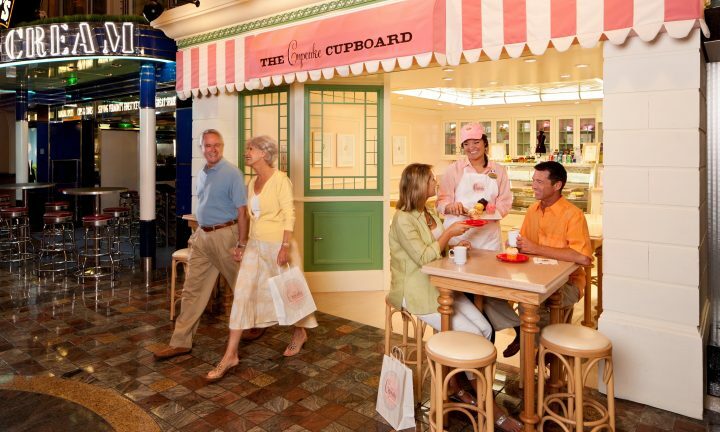 Enjoy a little sweetness at this vintage-style shop featuring fresh-baked gourmet cupcakes and decorating classes.